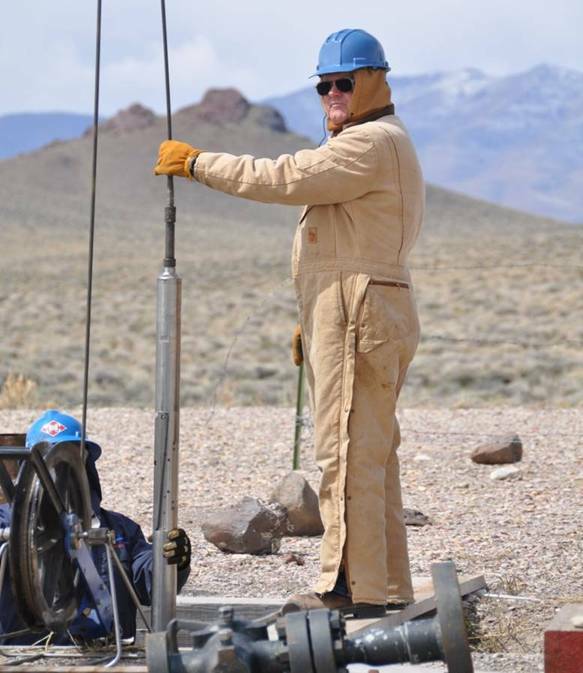 The objective of advanced drilling and logging technologies is to promote ways and means to reduce the cost of geothermal drilling through an integrated effort which involves developing an understanding of geothermal drilling and logging needs, elucidating best practices, and fostering an environment and mechanisms to share methods and means to advance the state of the art. Drilling is an essential and expensive part of geothermal exploration, development, and utilization. Drilling, logging, and completing geothermal wells are expensive because of high temperatures and hard, fractured formations. The consequences of reducing cost are often impressive, because drilling and well completion can account for more than half of the capital cost for a geothermal power project. Geothermal drilling cost reduction can take many forms, e.g., faster drilling rates, increased bit or tool life, less trouble (twist-offs, stuck pipe, etc. ), higher per-well production through multi-laterals, and others. Activities in the Annex will address aspects of geothermal well construction, which include developing a detailed understanding of worldwide geothermal drilling costs, compiling a directory of geothermal drilling practices and how they vary across the globe, and developing improved drilling and logging technologies. Activities are pursued in three major areas. The objective is to compile drilling cost information associated with the development, construction and operation of geothermal wells. This information/data will be maintained in a single database, so that all participants can use it to identify key cost components that might be reduced by new technology or by different drilling practices. Data could include R&D cost, project cost, operation and maintenance cost, and overall cost of energy. It will include information on wells for both electricity and direct-use applications (including geothermal heat pumps), and will include information from 1990 to date. The key modification sought in this time period, based on the realization that operators do not want to openly share costs, is to collect depth-time data, from which, performance may be estimated. The aim is to identify and catalogue the technologies that have been most successful for drilling, logging and completing geothermal wells. A complete Handbook of Best Practices for Geothermal Drilling containing drilling practices for both direct use (low temperature) and electrical generation (high temperature) wells has been completed. It includes: design criteria for the drilling and completion programs, drilling practices for cost avoidance, problem diagnosis and remediation during slimhole drilling, trouble avoidance, well testing, geophysical logging, and wellbore preservation. Efforts are now aimed at preparation and holding an Annex VII international symposium on geothermal drilling best practices. The objective is to monitor and exchange information on drilling and logging technology development and new applications in their respective countries. Participants will also identify activities and projects for collaboration, and then collaboration plans will be developed. For example, the Participants anticipate identifying opportunities to field test in one country a technology/system that is being developed in another participant’s country.